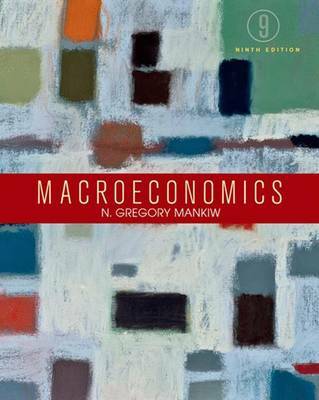 The number one textbook for intermediate macroeconomics courses since its first edition, this title is known for conveying the cutting edge in macroeconomics theory, research, and policy to the classroom, explaining complex concepts with exceptional clarity. This new edition addresses emerging macro topics such as income inequality and macroprudential regulation. Frontline empirical research studies are also featured, including Bloom and Van Reened's research on management practices, Nakamura and Steinsson's research on fiscal policy multipliers and Baker and Bloom and Davis's research on the effects of policy uncertainty. The book also improves on its already exemplary focus on teaching students to apply the analytical tools of macroeconomics to current events and policies. This comprehensive text is the ideal accompaniment to undergraduate courses in Macroeconomics.